When a person invests in gold or silver, usually the hope is that the metal appreciates in value and at some point down the road they can sell their gold or silver for a profit. The idea I just listed is one nearly every investor has, but is also one that not every investor realizes. Many people are under the impression that if you purchase gold you will always make money on your investment, but that is not always the case. In cases where you have made gains on your original investment, selling gold or silver back to a dealer becomes an increasingly viable option. Before you arbitrarily sell your gold and silver back to a dealer under the impression that you will receive a good return on your investment, there are a few things you should be aware of. For one, the current spot price of the metal is imperative to determining how much money you will receive when selling metals back to dealers. Additionally, it is important to note that there are certain tax, reporting requirements you have to complete before being done with a sell-back transaction. All of this information and more will be covered in the following few sections. 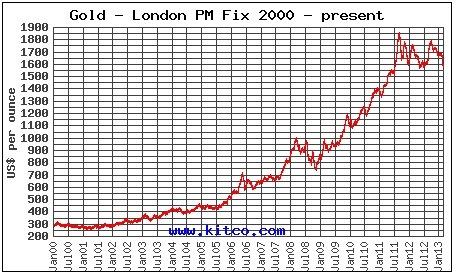 Investors of all varieties want all their precious metals transactions to take place in complete secrecy. When you buy from online dealers, you can sleep easy knowing that every facet of that transaction is not only safe, but is complete secure from prying eyes. The reasons for investors wanting their transactions to be concealed are numerous and need not be discussed in detail here, but there are certain cases where transactions cannot be kept completely secret. If you are living in the United States, there are certain instances when a bullion dealer who you are selling metals back to is required to fill out a tax form known as the 1099-B. This is an annoying form which more or less lets the public, or at least the government, know how much gold or silver you sold back, how much profit you derived from this sale, as well as the dates of both your purchasing of metal and you selling the metal. In most cases things that have to be reported on the 1099 form are bars and rounds being sold back. Many coins are exempt from the tax form and can be bought and sold freely and discreetly at all times of the year. Coins that are exempt from the 1099 reporting form are Canadian Silver Maple Leafs, American Silver Eagles, Austrian Philharmonic silver coins, American Gold Eagles, Gold Buffaloes, and Gold Philharmonics. On the other hand, when you attempt to sell gold or silver back to an online dealer, items that are subject to a 1099-B form are .999 fine silver bullion or rounds, as well as .999 gold bullion bars of any size. While there are not too many coins subjected to reporting, the few that are 1 ounce Gold Maple Leafs and 1 ounce South African Krugerrands. When you wish to sell your bullion back in order to gain a return on your investment, there are a few steps involved. Most dealers make the process as easy as a few steps which are usually listed on their website. First, you lock in a price, secondly, you ship your products, and finally you are able to receive your payment. When you locate and ensure that the product you wish to sell is actually being bought by the dealer, all you have to do is call their toll-free hotline and lock in your price, which protects you from any subsequent spikes or dips in the value of gold and silver. At this step you will be speaking to one of the dealers knowledgeable metals experts who will be able to answer any questions you might have about the process of selling gold or silver back to them. Even if you cannot find your bullion on the page that lists all of the accepted buyback products, you should still call because they accept many more products than the ones they have listed. Once you have locked in your price, you will be briefed on how exactly you are to send your metal back to the dealer. It is often requested that you ship your product via USPS or UPS and include tracking and insurance as most dealers don’t assume responsibility for lost or damaged products coming to them. Once the item(s) have reached the facility, they will have their experts inspect the items and finally approve the transaction. Once your transaction is approved, you will be paid via bank wire or check. You typically get paid within 3 days of your sale being approved though this can vary. The whole process could not be any easier or more straightforward. When you are in the market for the purchase of bullion, anyone who knows anything about metals knows that the price you will pay for metal is going to be a bit more expensive than the current spot value of the metal. The same concept is in play when you are trying to sell gold and silver back to reputable sites too; only in the opposite fashion. Instead of tacking on an amount over spot value like you would see during a normal purchase of precious metals, buybacks occur at a price that is slightly below the current spot value of the metal. Unlike when you are purchasing metals, when you sell them back there are rare instances in which you are compensated more money (per ounce) than the current spot value of the metal. This is not common but it does occur. In most other cases you can expect to be compensated a value that is just barely under the current spot price of the metal in the coin, bar, or round. By doing your research you will get the most money for the gold or silver that you sell back.